Super Savings! 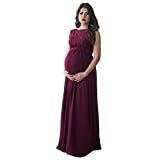 Up to 35% off on Dresses at Femi Store. Top brands include My Growing Belly, PrettyLife, Hotouch, Beachcoco, COSYOU, Sidefeel, ReoRia, Maternal America, CareGabi, Bhome, My Bump, Ripe, Ekouaer, SICILY, Hello MIZ, & Olian. Hurry! Limited time offers. Offers valid only while supplies last.